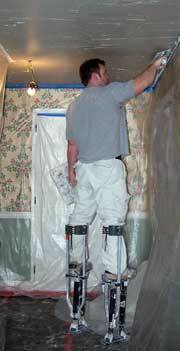 Q: What is different about Avalanche Plastering? 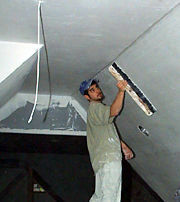 A: We are skilled professional craftsmen specializing in plaster work. All our employees are also part owners of the company. All are experienced and speak English. 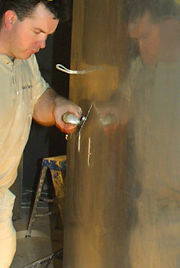 We have been plastering since 1988. The supervisors are always on the job site, which ensures quality and prevents delays. They are immediately accessible if there are questions, concerns or changes. We use only the highest quality materials. 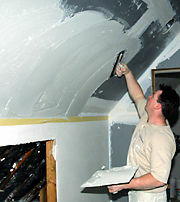 Some veneer plasterers use Unical™ or Diamond™ plaster, which is hard but brittle, and prone to blistering and imperfections. We use only super strength Structo-Gauge™, which is stronger and resists cracking. A: We maintain Home Improvement Contractors Licenses in the State of Connecticut (#573469) and Suffolk County, New York (#42344-H). We carry standard liability and worker's compensation insurance. Q: Can you repair decorative plaster moldings? Q: Do you do a one-coat veneer finish? A: Generally no. A one coat finish prodes a hard, monolithic surface at low cost on a short schedule. We find a two-coat system provides a more durable, abrasion-resistant surface and can be finished to a truer plane than one-coat applications. It also offers improved fire and sound ratings. Q: What size job do you handle? A: We have done small jobs that take a few days to large commercial projects lasting 18 months or more. Q: What geographic area do you work in? A: Most of our work is in central and eastern Connecticut, Suffolk County and Fisher's Island, NY. We travel farther for certain jobs.